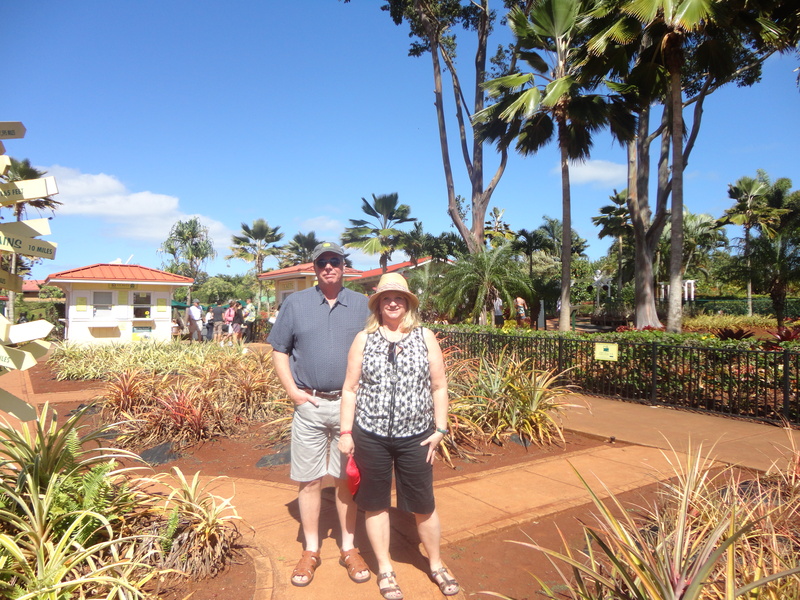 A visit to the Dole Plantation was in order as we took our scenic tour of the north shore of Oahu. The big reason to stop there was our desire to try the amazing pineapple ice cream. We were not disappointed! This huge tourist destination on the island of Oahu began as a roadside pineapple stand on the way to the islands popular North Shore. The Dole Plantation Pineapple Experience offers the gift shop with the amazing pineapple ice cream, a chance to ride on the Pineapple Express train, a narrated tour walk through centuries of Hawaiian agriculture, tradition, and crafts in the beautiful Plantation Garden Tour. Kids of all ages might enjoy trying to find their way out of the Pineapple Maze which has been recognized as the largest maze in the world by the Guinness Book of World Records. We just tried the ice cream and walked through a portion of the garden enjoying the beauty of the plants that are not really native to Hawaii. It is thought to have originated in Brazil in South America and Christopher Columbus brought the sweet fruit to European attention. It is not clear just how the pineapple arrived in Hawaii and even though others grew the pineapple before James Drummond Dole arrived, he is known as the one that turned the fruit into an American household staple. Dole arrived in Hawaii in 1899 and soon established a 60 acre pineapple plantation on Oahu. He eventually bought the Island of Lana`i and transformed it into the largest pineapple plantation in the world.